Westview utilizes the STAR program (Strategies for Teaching based on Autism Research) as the curriculum for our early childhood level students. STAR is a research-validated, comprehensive program that includes detailed lesson plans, teaching materials, data systems and a curriculum-based assessment for teaching our young children in six curricular areas. The strategies used in the STAR Program utilize evidence-based practices identified in the 2009 National Standards Report and recommended by the National Research Council for use in programs specific to students on the autism spectrum, and other developmental delays. The STAR Program curriculum-based assessment identify present levels of performance of each student, based on a scope and sequence of developmental skills. The assessment report is utilized for tracking and reporting student progress and identifies next instructional skills targeted for classroom as well as individualized student instruction. These entry-level classes each have four children with a teacher and a full time assistant. Most children in this group are 2 - 3 years of age. Although pre-academic skills are introduced, the focus of this class is language, imitation, interaction, self-help skills and the acquisition of appropriate developmental skills. Various methods are used to encourage and elicit spoken language. Language: Visual supports, such as the Picture Exchange Communication System (PECS), are used, combined with words, objects, signing and other visual support systems. Songs, puppets, and finger plays are used to help expand the attention of these young children. Interaction: Children learn through play; however, young children who are experiencing delays often lack the interest or skills to play appropriately with toys or to interact with other children. The teachers devise simple developmentally-appropriate play situations (pushing cars or rolling balls back and forth, finger-painting together, or holding hands to play “Ring Around the Rosie”). The students learn to work in small groups and follow simple instructions within a naturalistic environment. Imitation: To imitate is to learn. Actions to songs, imitating motor movements and sounds are practiced throughout the day. Children are rewarded with praise for imitation attempts. Self-help: Children as young as two learn the importance of independence. Toliet training, eating and drinking skills and dressing skills are part of the daily program. Children are given the opportunity to make choices throughout their daily activities, and encouraged to become more independent. The Early Childhood Development 2 (ECD 2) classes contain five children with a teacher and a full time assistant. The children are generally 3 - 4 years old and are grouped by social skills, maturity level, academics and receptive/expressive language abilities. 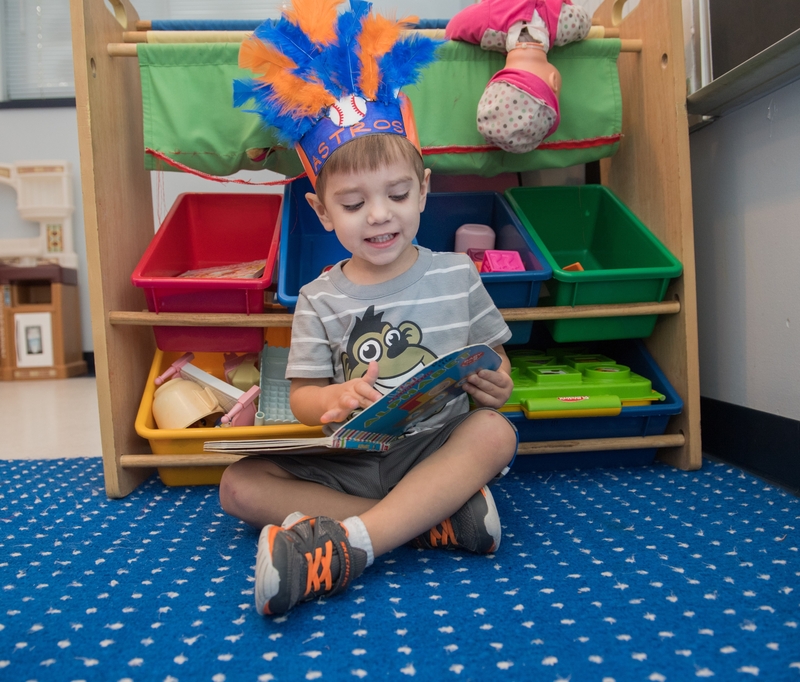 ECD 2 also utilizes the STAR Curriculum to encourage children to develop self-regulation, attending skills, and joint attention through theme-based learning and field trips. Pre-Academics: Emphasis is placed on development of fine motor skills including using a writing utensil without a fisted grip, copying simple forms (such as lines and circles), placing scissors on hands properly and using them to cut paper, and manipulating string for lacing and stringing beads. Pre-academic skills such as number recognition, one-to-one correspondence, sorting, colors, shapes, and basic math vocabulary are taught as well. Social Skills & Play : Focus is directed toward exposing children to experiences that will lead to a greater understanding of social expectations. Students engage in a variety of teacher-facilitated play activities, including pretend play, storytelling, role playing, social routines (birthday parties, Halloween, etc. ), and floor play to encourage group participation and interaction. Students are taught basic children’s games such as “Duck, Duck, Goose” and “Ring Around the Rosie.” Emphasis is placed on development of appropriate peer interactions. Communication Skills: Emphasis is placed on expanding and contextualizing language within reciprocal social interactions. Both expressive language abilities (including labeling, describing, and comparing/contrasting) and receptive language abilities (including identifying, matching, and sorting) are a focus of this theme-based class. Functional Routines such as sharing the attention of the teachers, raising hands, being part of a group, and class participation are modeled and taught within the context of daily activities. Emphasis on learning schedules and self-management, utilizing visual schedules, cues and other resources will be taught using systematic strategies in a naturalistic setting. Skills for requesting, making choices, and table manners are also taught during snack time. Students become more independent during transitions, restroom time, and other developmentally appropriate daily skills and activities. Motor Skills: Motor skills class occurs in our motor lab, where instruction is focused on development of gross motor skills, motor planning, turn taking, and teamwork. Students engage in a variety of activities such as climbing, swinging, jumping, obstacle courses, and movement to music.